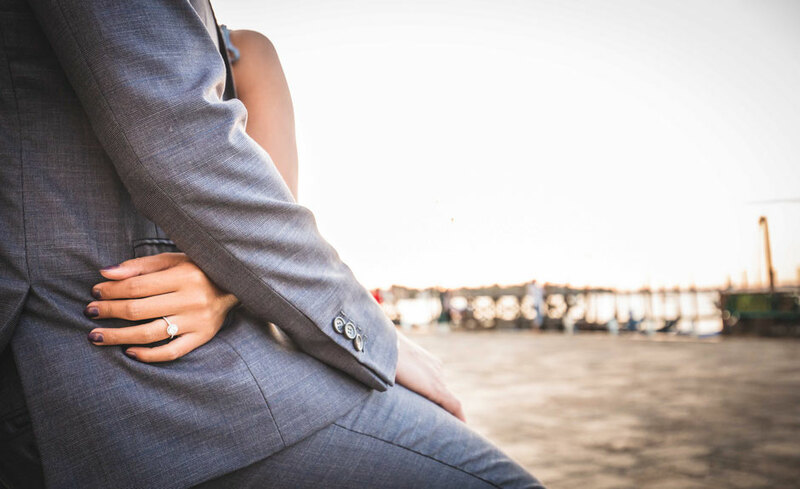 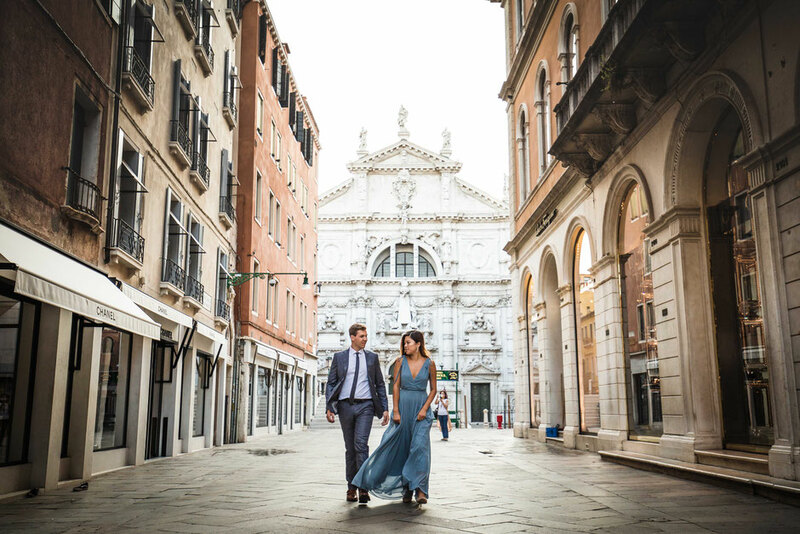 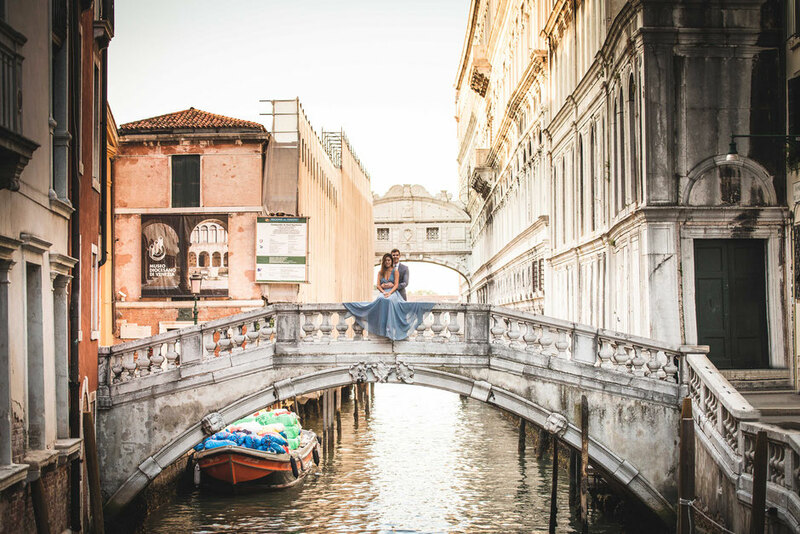 I'm absolutely in love with this engagement photoshoot made in Venice Italy! 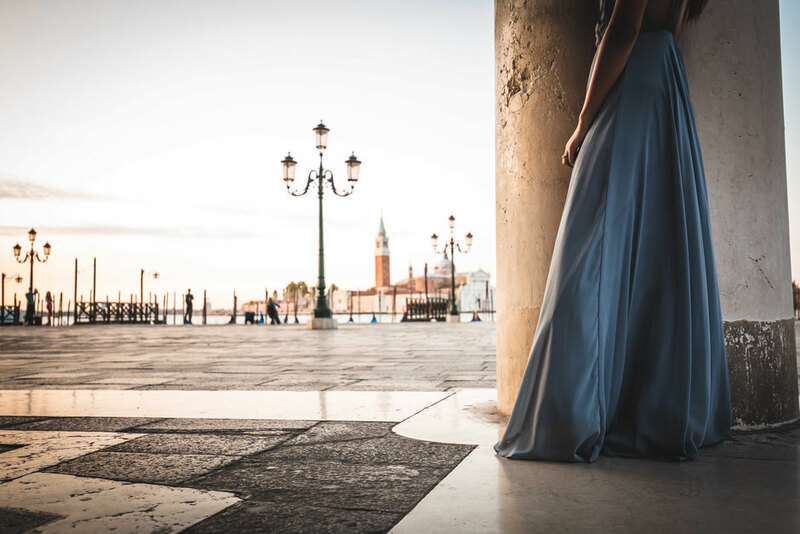 Everything was perfect: the light. 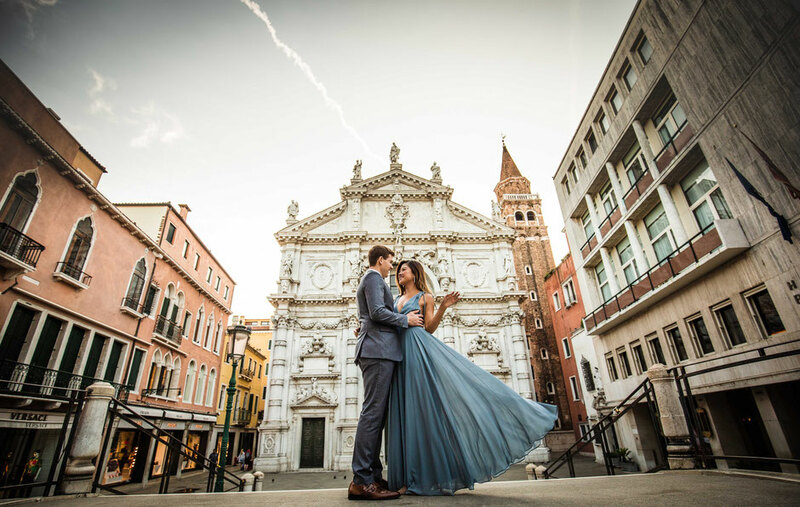 the sky, the weather, and these guys!! 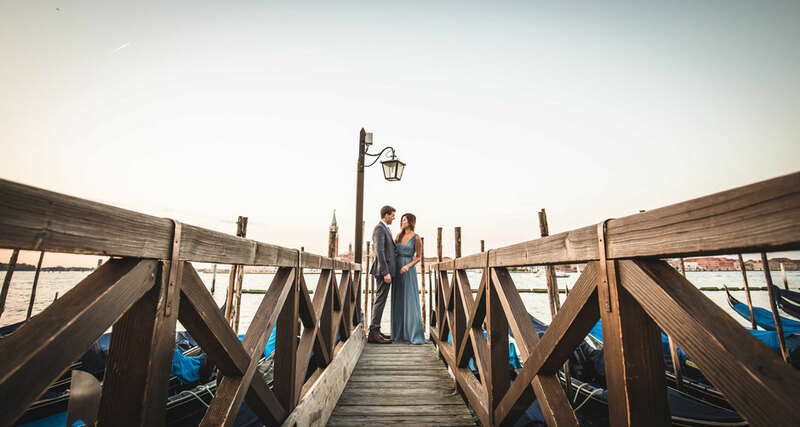 Chris and Ayres are a lovely couple from the US who came in Italy for their vacation and they wanted to have some picture taken by a professional photographer in Venice. 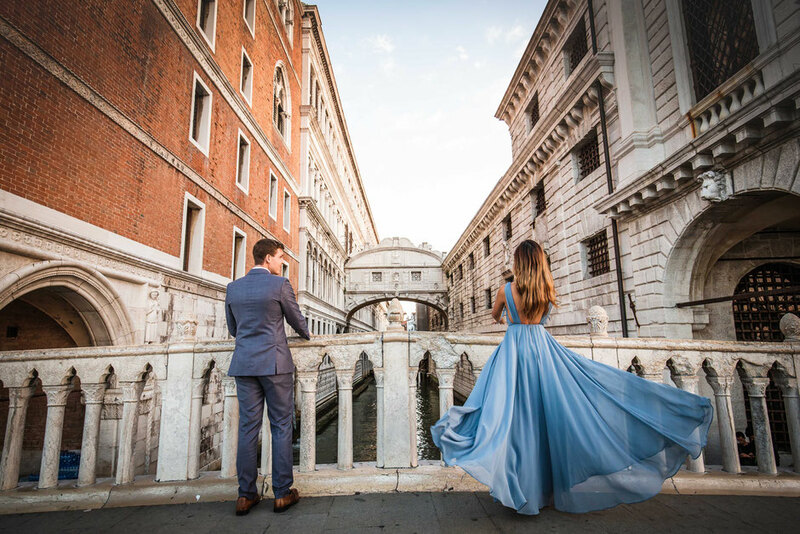 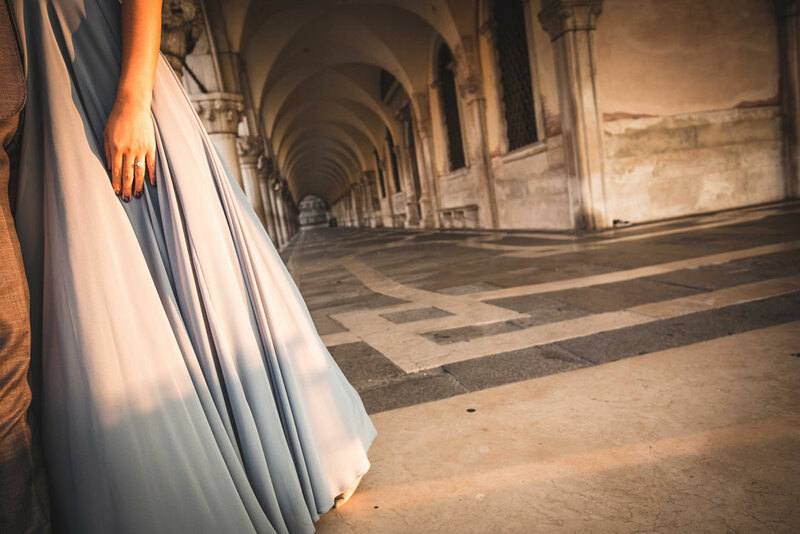 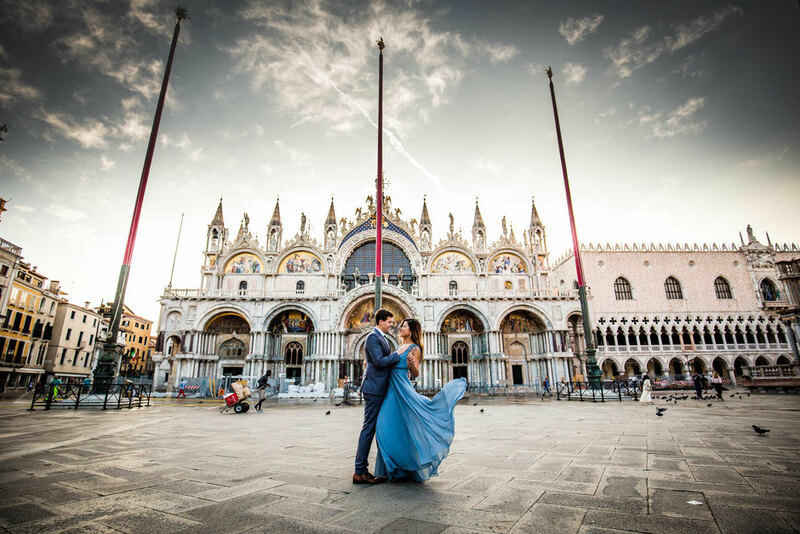 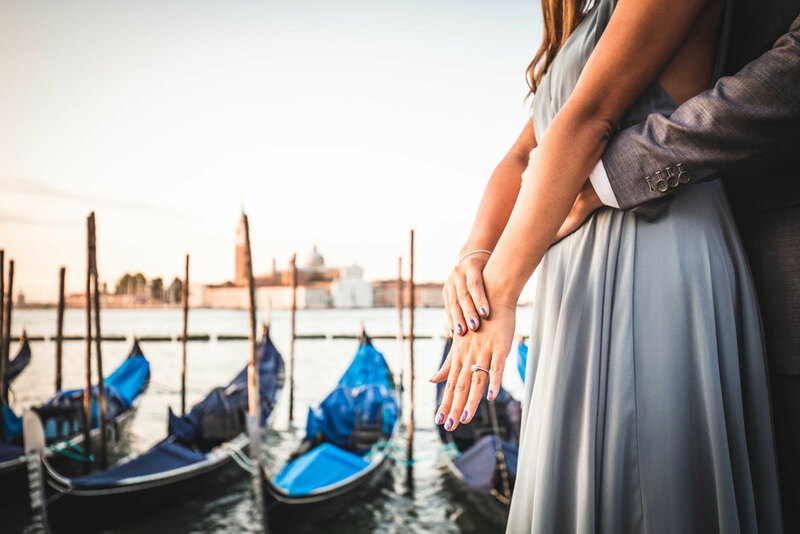 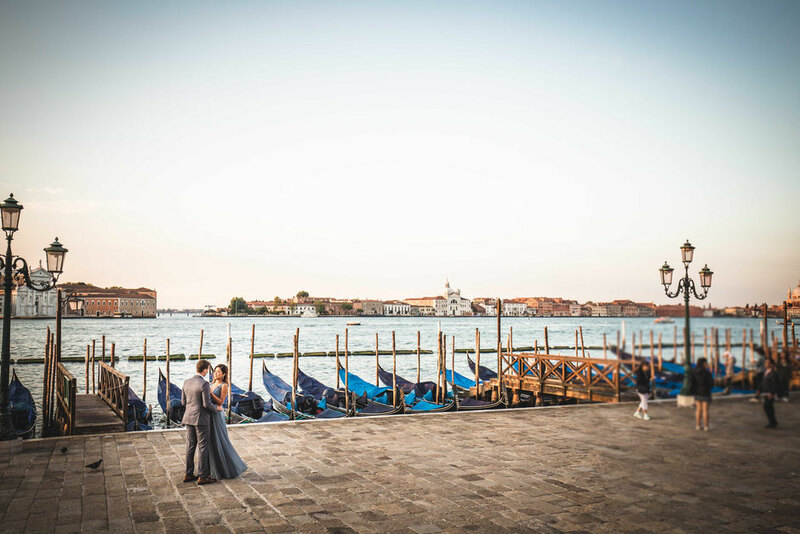 We started the engage,emt photoshoot at sunrise in an empty San Marco square and we walked towards Accademia and Punta della Dogana taking photos in the most amazing spots that Venice can offer.